The Doral Car Accident Attorneys at the Wolfson Law Firm have been helping personal injury victims in Miami for more than 60 years. These personal injury lawyers from Miami can assist you as soon as you call. Just call (305) 285-1115. If you were injured in a Doral car accident, you may be able to obtain compensation for your lost wages, loss of earning capacity, your medical bills, and you suffering and pain from the responsible driver and vehicle owner. Were you ever curious about where the name “Doral” ever came from? We were, so we looked it up. Shortly before 1960 real estate investors Alfred and Doris Kaskel bought about 2,400 acres of swampy land between Northwest 74 Street and Northwest 36 Street and from Northwest 117 Avenue to Northwest 79 Avenue for just under $50,000. They intended to build a hotel and golf course. The Doral Country Club opened in western Dade County around 1962. The "Doral" name combined Doris and Alfred the original pioneers of this city in northwest Miami-Dade County. Doral is home to many cultures but the largest group in Doral is comprised of Venezuelans. 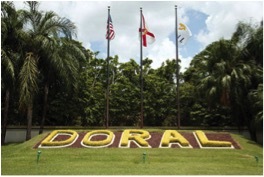 Doral is the main hub of Venezuelan activity in Miami-Dade County. Weston is the main location for Broward Venezuelans. Many people travel regularly between Weston and Doral each day on I-75, Doral Boulevard, and the Florida Turnpike for food, coffee, family and friendship. Unfortunately, car accidents can happen and that is where the Doral Car Accident Lawyers can help. If you were seriously injured in an accident in Florida, let the Miami Personal Injury Attorneys serving Doral help you to get full, fair and complete compensation for the injuries and losses you suffered due to the negligence of another. We can help you understand what to do after a car accident. The answers are simple. The civil system of the United States is open to everyone without regard to race, creed, color, country of origin, or sexual preference. You are not required to speak English either. It is commonplace for translators to be used for trials and court proceedings especially in Miami. One added benefit of choosing the Wolfson Law Firm is communication. Our managing lawyer is Jonah Wolfson and he is a bilingual personal injury attorney in Miami and is available to speak to you now. Call today at (305) 285-1115 for your free consultation today. 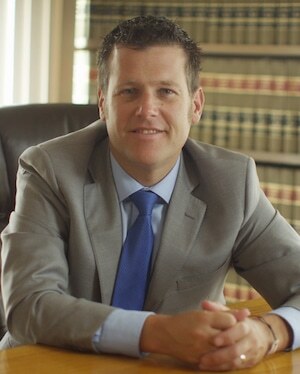 The Wolfson Law Firm represents people with personal injuries at the Miami International Airport (MIA), Aventura Mall, Dolphin Mall, Dadeland Mall, and in the communities of Hialeah-Miami Lakes, North Miami, Allapattah, Little Havana, Weston, Key Biscayne, Pembroke Park, Miami Gardens, Westchester, The Roads, Coral Way, Fontainebleau, Fort Lauderdale, Edgewater, Hallandale, Cooper City, Homestead and all across South Florida neighborhoods.